Blueberries are available in many forms and sizes, including canned, dried, and pureed as well as fresh. Fresh blueberries are in their prime from June through August. 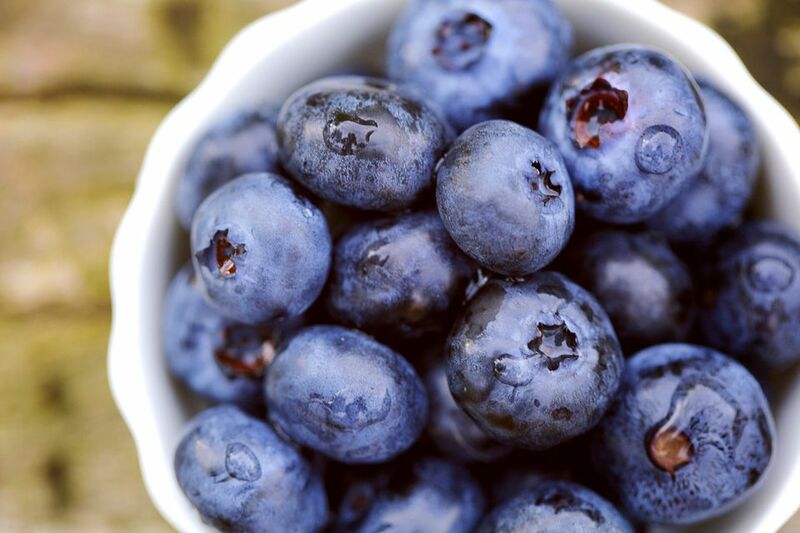 Blueberries must be ripe when purchased, as they do not continue to ripen after harvesting. Avoid soft, watery or moldy blueberries. Stained or leaking containers are an indication of fruit past its prime. Keep blueberries refrigerated, unwashed, in a rigid container covered with clear wrap. They should last up to two weeks if they are freshly-picked. Water on fresh blueberries hastens deterioration, so do not wash before refrigerating, and avoid those at your grocer's that are exposed to those mist sprayers used to keep greens fresh. Blueberries are highly perishable so do try to use them as soon as possible. Blueberries are an excellent candidate for freezing. After thawing, they are only slightly less bright and juicy as in their original harvest state. Do not wash them before freezing as the water will cause the skins to become tough. Rinse after thawing and before eating. To freeze for future cooking, place the berries in a rigid covered container with one inch of space for expansion. If you plan on serving them in the future in their thawed, uncooked state, pack them in a syrup made of 4 cups water plus 3 cups sugar, seal, and freeze. For crushed or pureed blueberries, add 1 to 1 1/2 cups sugar for each quart. Frozen blueberries will keep for a year at 0 degrees F. Blueberries are also easily canned or dried at home.